Principle purpose of this lecture is to present on Flood Basalts. Basalt is a type of rock that is produced from the mantle. 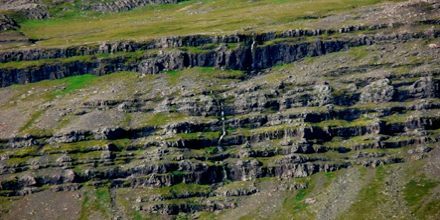 Flood basalts are yet another strange type of “volcano.” Some parts of the world are covered by thousands of square kilometers of thick basalt lava flows – individual flows may be more than 50 meters thick, and individual flows extend for hundreds of kilometers. What is the source of Earth’s Energy?